The city reduces data storage costs, increases speed of data backups with refreshed data backup system from STORServer and the newest features in IBM® Spectrum Protect™. With a partnership spanning nearly two decades, STORServer’s built to order data backup appliances have progressed to meet the city’s changing needs. STORServer is a trusted, long-term solution for the city with a simple and easy to use interface that can be managed in just minutes per day. 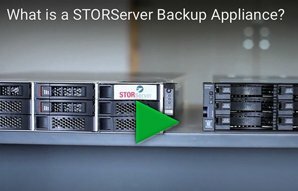 Even as application and hardware requirements change, STORServer’s data backup appliances fit every environment. After six years of continuous top-notch performance from its previous STORServer data backup system, the city decided to upgrade its current configuration in preparation for its evolving data backup needs and a necessary increase in raw storage capacity. Certain vendors used by the park department store pictures of their completed work on the city’s server, which inflates the overall storage footprint the city backs up daily. In addition, all the city’s new projects are stored on virtualized servers, which increases its storage footprint and requires additional storage capacity. Under this new configuration, additional shelves of storage can easily be added to allow for future IT projects, such as mobile-based applications. STORServer’s total appliance solution scales with ease as the city’s data grows and is simple to upgrade and install with backups beginning on the first day. STORServer helped the city implement a new primary and secondary data backup system that serves them well today and will evolve with their needs over time. An enterprise solution that protects both physical and virtual environments, STORServer combines a simplified approach with a powerful appliance solution that meets the city’s needs now and has the ability to adapt to their future requirements. A public cloud option is available with STORServer should there be a future need to transition to the cloud. While the city prefers tape for its disaster recovery copy, STORServer offers multiple disaster recovery options, including appliance-to-appliance replication and appliance-to-cloud options. Each of these disaster recovery options comes with STORServer’s simplified U.S. based customer support. A single point of customer service contact, for both the primary and secondary sites, makes it easy to troubleshoot any issues and minimize downtime regardless of where the issue originates. With flexible software licensing capabilities, the appliance refresh also included upgrading to the newest version of IBM Spectrum Protect. This software offers next generation deduplication capabilities to reduce the city’s storage footprint. The progressive incremental forever backup technology also minimizes the network requirements and storage resource utilization. Offering a simple way for the city to manage its data backup in just minutes per day, STORServer Console (SSC) and STORServer Virtual Machine Backup (VMB) software was also included in the city’s new setup. In this configuration, policy-based management provides granular control at the file, folder or server level. In addition, instant restore features for their virtual machines reduce end user downtime impact to near zero. Primary Backup: STORServer A740 and IBM V3700 – Located in the city center area, the STORServer enterprise backup appliance enables the city to experience faster processing power and take advantage of IBM Spectrum Protect’s latest features, including deduplication capabilities to reduce the city’s backup storage requirements. The city’s primary backup data is kept on disk for quick restore and to take advantage of IBM Spectrum Protect’s deduplication feature, which reduces backup storage requirements. This configuration also includes IBM Spectrum Protect Suite licensing, which offers simplified pricing and licensing with a tiered per-terabyte metric. This licensing enables the agency to have access to a suite of backup software products, including database and mail agents, along with IBM Spectrum Protect™ for Virtual Environments, which the city uses for its VMware® environment. Secondary Backup: STORServer Backup Appliance – The city’s secondary backup site, located at a facility about five miles away from the primary downtown data center, uses a STORServer backup appliance with internal storage. This location has several critical servers requiring protection that house data separately from the city center location. This STORServer backup appliance is kept onsite for quick recovery of these critical servers. For its disaster recovery copy, the city uses an IBM TS3100 tape library with LT07 drives, upgrading to 15TB compressed capacity. These tapes are sent offsite and are accessed only in the event the city is unable to restore data from the primary appliance. The city benefits from the easy software licensing and simplified, streamlined support with a single point of contact for customer service on the entire environment. Its new data backup implementation lets the city make the best use of IBM Spectrum Protect software features and move data more efficiently, allowing for a best practices implementation of data protection. In fact, the new appliances recently restored 10TB of data quickly and seamlessly only requiring a point and click by the administrator. Additional external storage can be added as needed to the appliance server. In the future, the city could elect to replicate data between both locations or even leverage the cloud for disaster recovery copy purposes. The secondary disaster recovery backup location provides peace of mind. For example, if there is an event that negatively affects the primary data center, the secondary appliance will immediately be able to begin restoring operations. The tape storage is held in a separate location to ensure that a disaster recovery copy of the city’s data is always available to restore data and functionality.